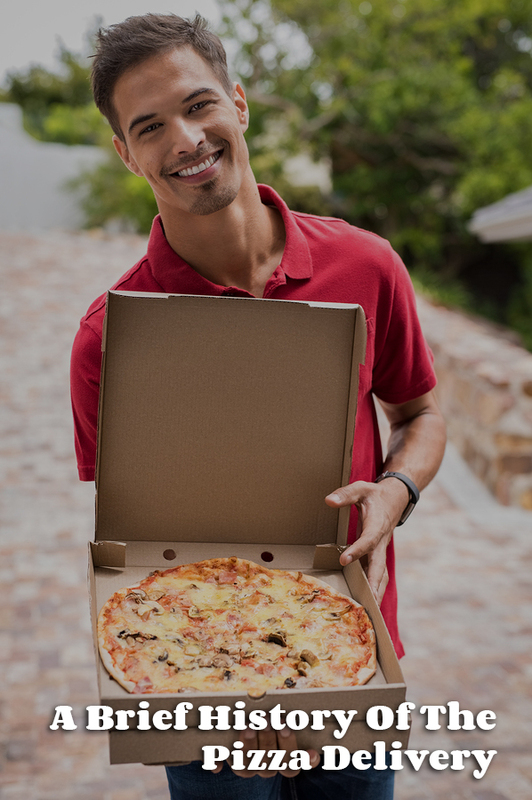 Our pizza delivery in Bloomington, and pizza delivery in Columbus, brings our delicious Bucceto’s flavors right to your door. We at Bucceto’s, and our owner Paul Heilbrunn, know that delivery is the best way to serve the region with quality accessibility and convenience, as we hope to keep your dinner decision an easy one no matter how hectic life gets. Delivery is hardly a rarity across the United States for all different types of fare, but just how did pizza delivery get its start? While it may seem commonplace to have pizza delivered today, it wasn’t always that way! 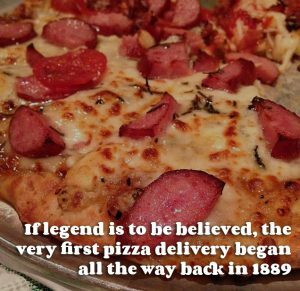 If legend is to be believed, the very first pizza delivery began all the way back in 1889, and it was a service offered special to Italian royalty. King Umberto and Queen Margherita of Savoy were on a trip to Naples when the queen fell ill and requested fresh Italian food to be brought to her. Chef Rafaele Esposito created the Margherita pizza for the queen, and delivered the mozzarella, basil, and tomato pie directly to where the king and queen were staying. Upon receiving the pizza, Queen Margherita was said to have reviewed the dish as one of the best she had ever eaten. Pizza delivery took something of a break after that fateful delivery to the king and queen of Italy. After WWII in 1945 pizza became more popular than ever, as soldiers coming back from the war developed a taste for it in Europe and craved it when they returned back home. It was during this time that take-out pizza became popular, first originating in authentic Italian pizza shops in New York City. This trend spread across the country, and once it reached Los Angeles, that’s when the idea of delivery really took off. Unlike in New York City, it wasn’t always easy for Los Angeles residents to reach their local pizza shops on foot, so LA-based Italian restaurants began offering delivery services with the order of a pizza. By 1960, the idea of delivery truly took off, and it became the go-to convenient method across the country we know of today.